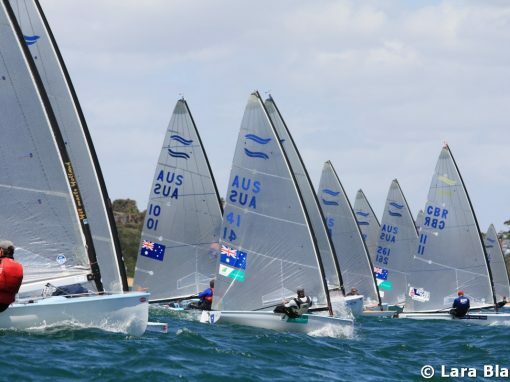 Once again the leading sailor all week has been beaten by the medal race. 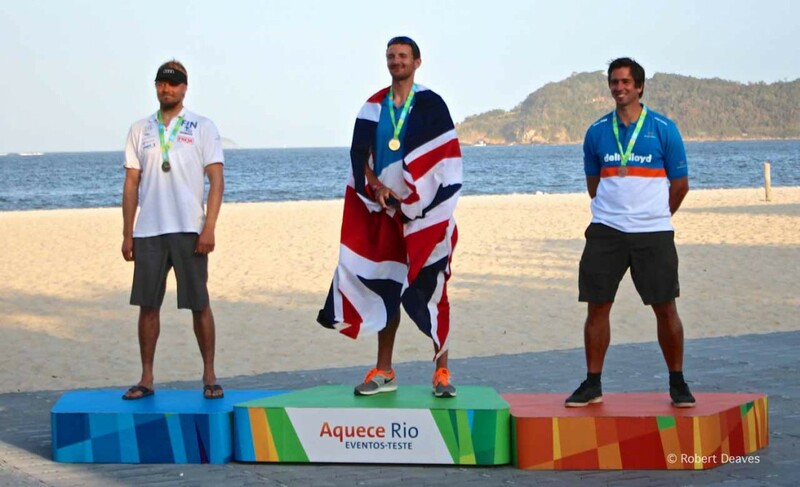 Pieter-Jan Postma (NED) had led the Aquece Rio 2015 test event all week but couldn’t match world champion Giles Scott (GBR) in the final decisive showdown under the Sugar Loaf. And what a thrilling final showdown it was. While Scott took the Gold, Tapio Nirkko (FIN) concluded an outstanding series with a second place to take the Silver. Postma goes home with the bronze. Scott left it to the last race to pass Postma, who had led the regatta for the last six days after sailing exceptionally well. As usual the Finn athletes made it a tense and thrilling medal race, while Rio dealt up probably the best conditions on the course area all week with a relatively steady 8-12 knots straight over the top of Sugar Loaf, under beautiful blue skies. 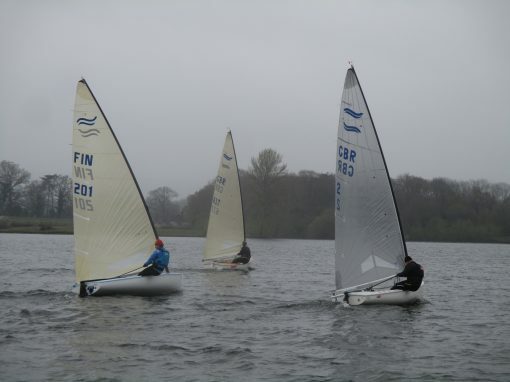 The left was clearly the way to go on the first upwind. 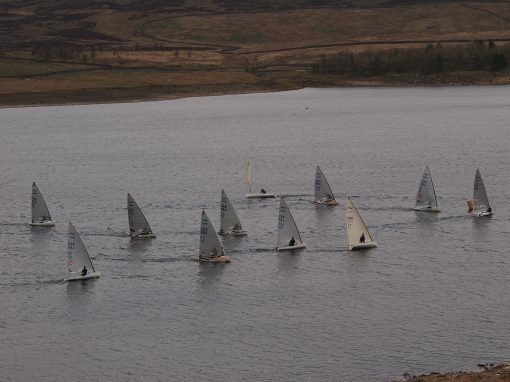 Josh Junior (NZL) won the pin and found a lane of pressure to advance forward on the fleet. He never looked back. Postma was just above him but was soon forced to tack off and ducked most of the fleet while heading to the right. Scott persevered to the left but couldn’t match Junior who led at the top from Anders Pedersen (NOR). Scott rounded third with Postma in ninth. It looked like it was over…but it wasn’t. Junior extended down the run but a yellow flag for him allowed Scott to close up. The fleet again favoured left on the second upwind with Nirkko going further left than most and hooking a left shift into the mark in third behind Junior and Jonas Høgh-Christensen (DEN). Postma had also made gains to round right on Scott’s transom and they headed downwind a few boatlengths apart. Junior went on to win while Nirkko moved up to second. 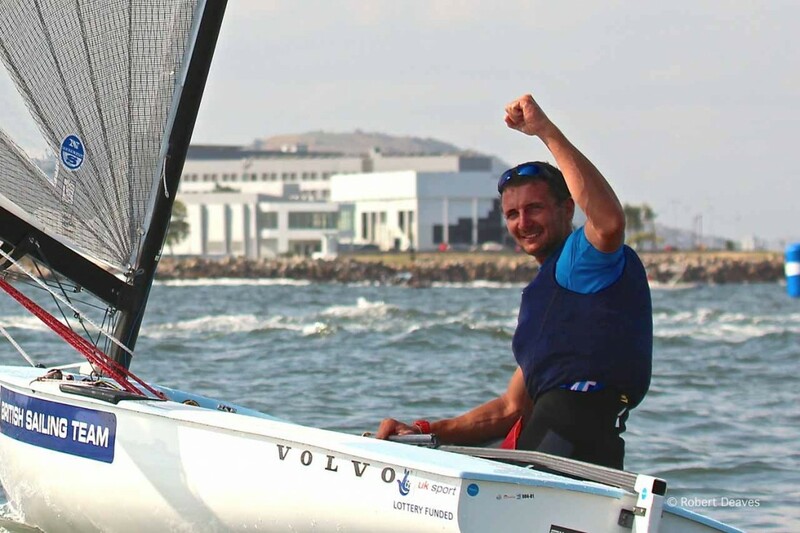 Scott pulled away from Postma downwind to make sure of the win while the Dutchman stayed close enough to Jonathan Lobert (FRA) to secure the bronze. Scott once again stood at the top of the podium, now unbeaten in more than two years. He made hard work of this week, but pulled it together when it counted. 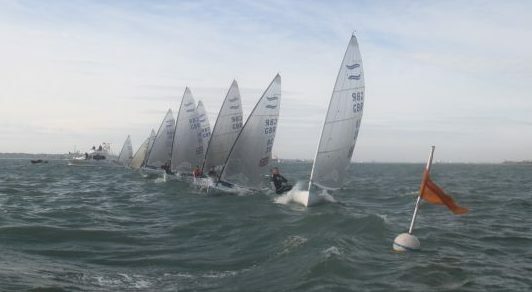 You can never read too much into a test event results but speak to the sailors and they generally think Scott will be the favourite in 12 months time. It is also worth considering that this test event was Scott’s narrowest victory in a long time, even though many of those here were using their second set of gear, so the message is clear that the battle is still wide open and it is still a long road to the podium at Rio2016. More rights free imagery from Sailing Energy available here.